I am still working on the makeover of my den/guest room/craft room. 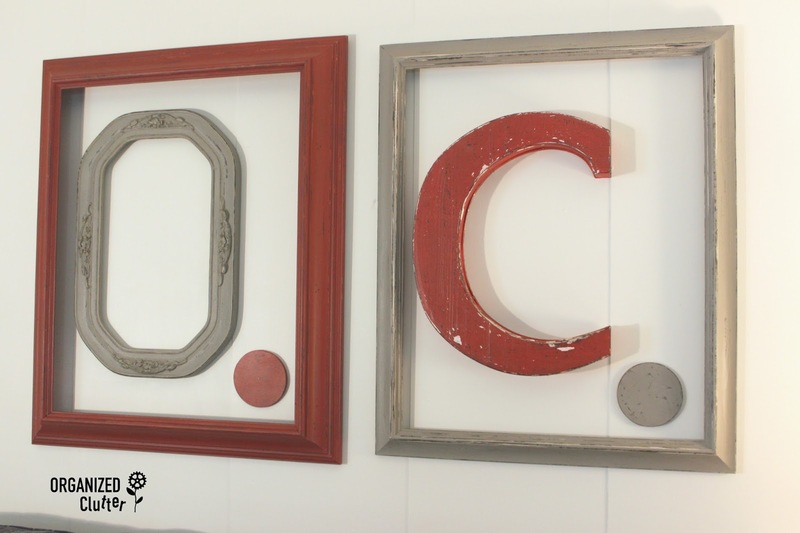 The wall behind the sofa has a new wall display arranged from 3 frames, a wooden letter "C" from a Hobby Lobby clearance sale, and two wooden basketball shapes from our local craft shop. I am going with a white and gray palette with red accents in the room. I found some plastic paint pyramids that really work well for painting small craft items like picture frames. It gets them up off your table or work space. Another new gadget I purchased recently was the Folk Art Paint Layering Block. It's basically a block of wood that has a knob on it. Once you have a thin coat of paint on your knob you are ready to slide it along the edges of your frame. It's quite easy, however, I did have a few spots where my block slipped or paint got a little too heavy, and I touched up the spots with my base color paint. Here is the layering block technique on the gray frame. This technique is really pretty easy and looks like distressing, but without the mess. No sanding. 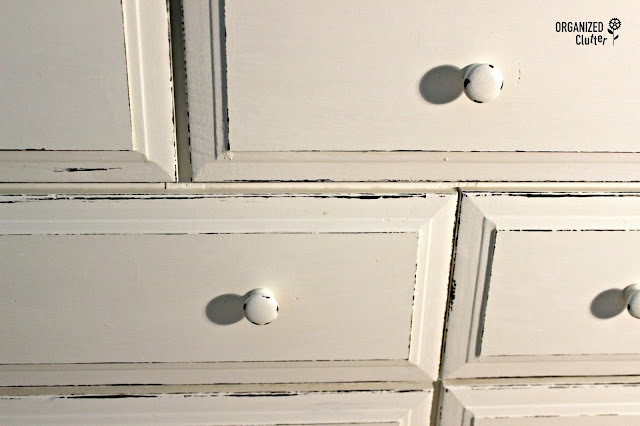 And when you buy a bright pink dresser and you don't want the under layer of paint to be visible, you can use the layering block and add paint to the edges of your project. So how did my frame project turn out? Here it is! O. C. for Organized Clutter! The basketball shapes became periods for the initials. 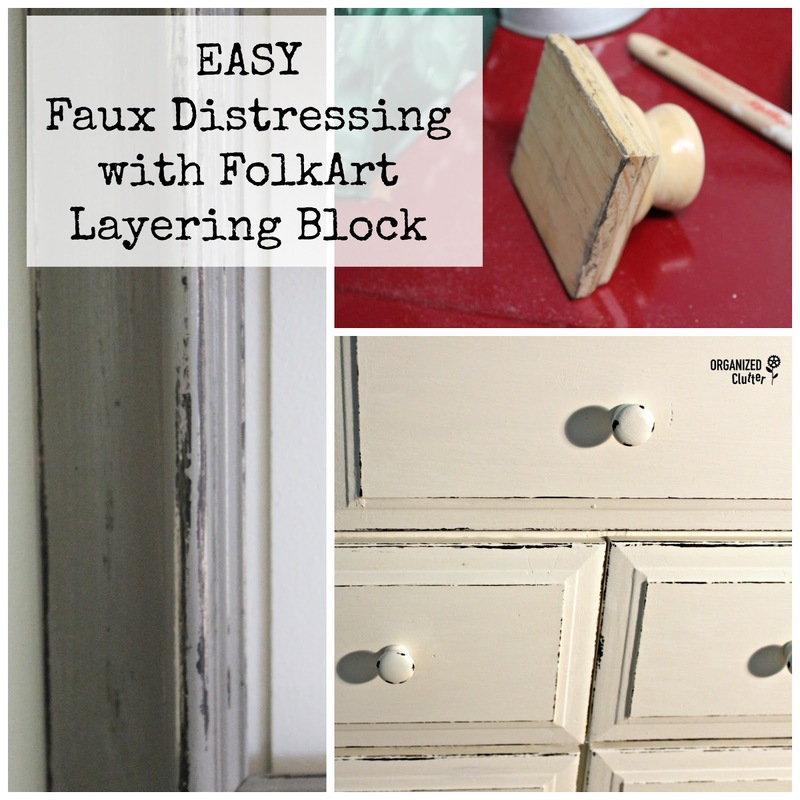 I also used the Folk Art layering block on a dresser that I had base coated with Annie Sloan Chalk Paint in Old White. It looks like chippy paint but it's really added paint to the edges with the layering block. i've never seen one of those! i agree that at times you don't want the under paint to show. what a great way to avoid that! I LIKE this idea. Every once in a while, someone comes up with a very inexpensive way to enhance our creativity! Heck, you could have used a spare piece of lumber and hammered a little bit of wood to one side, and you could have created a rough tool to use that would have created the effect you are looking for. Cool! I'll file this away for future use! Thank you for sharing! Love how your frames turned out. Thank You for sharing this technique! That is a very cool tool, I've never seen one before! 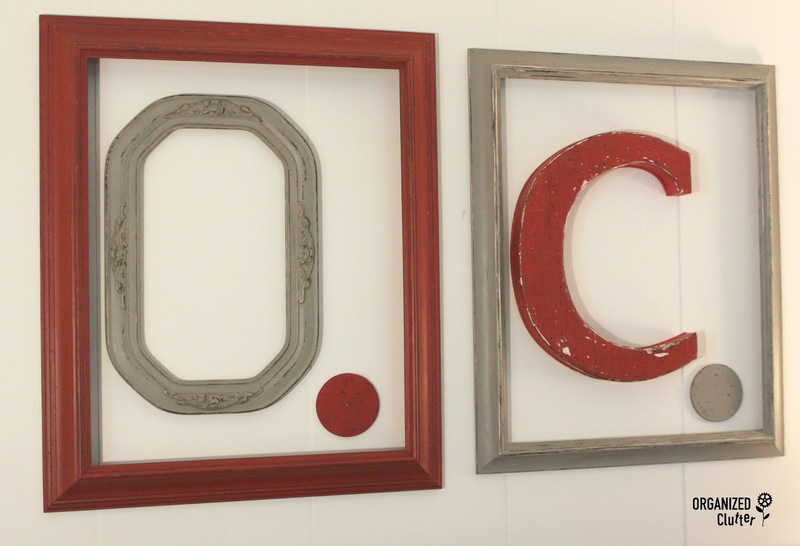 That octagonalish frame for your O is such a fun find! Thanks for sharing a new way to add layered paint. Less messy than sanding for sure! Yeah...like that too! Easy and less mess works for me! I also love the creative use for the picture frame and basketball shapes to spell out your biz name! Clever! Pinned. Great idea, Carlene. I love how you've used that beautiful old frame. Haven't heard about those triangles, sounds like a really clever invention. I've been using those little plastic thingies (I call them dollhouse tables) that come in pizza boxes. I love it! Amazing idea! The laying block is amazing! Cracking up! I teach high school and "OC" means "out of control" to a teenager. That would work in every room of *MY* house!